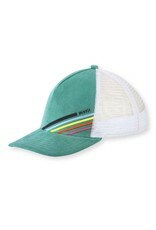 The Kobie mesh-back cap has a vintage vibe in fine wale corduroy. 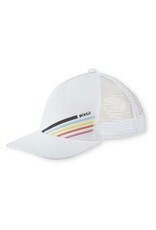 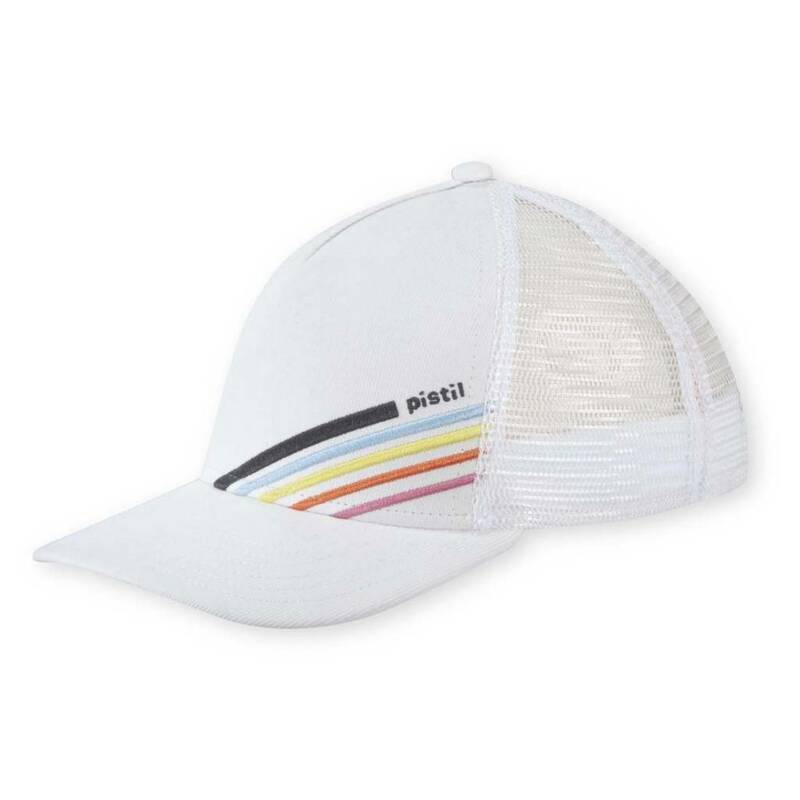 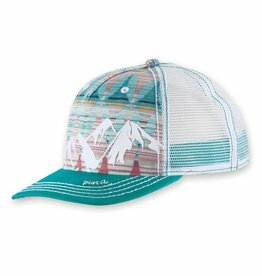 This women's trucker hat is embroidered with a diagonal rainbow detail. 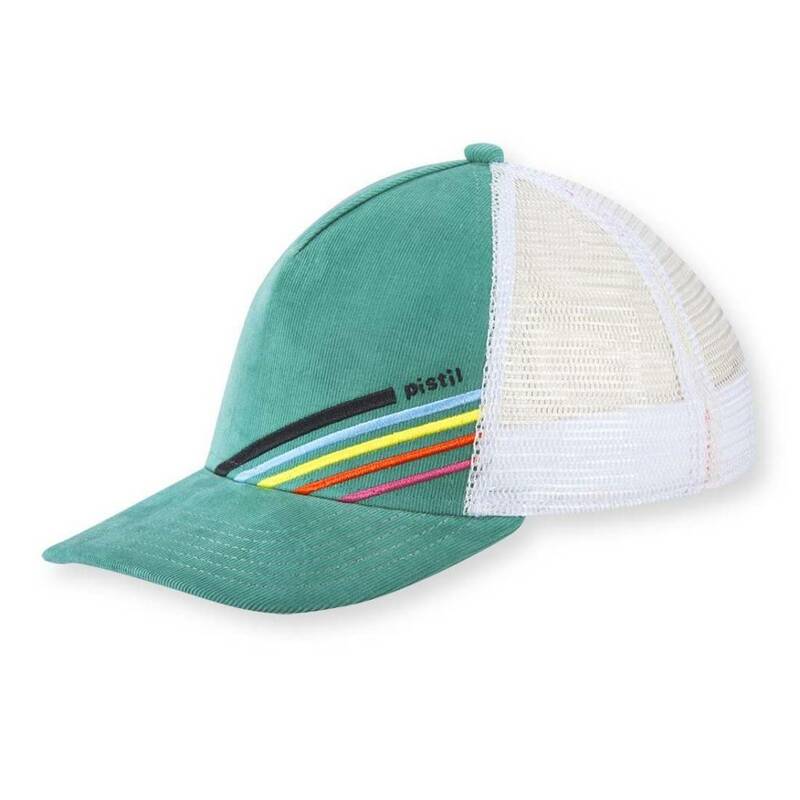 An adjustable closure lets you fine-tune the fit.